Charlie and the Chocolate Factory, by Roald Dahl, is a family fun film that inspires curiosity, creativity, and imagination to all its viewers, but is that all it offers? On a spiritual level, what does it say about humanity through the characters such as Veruca Salt, Augustus Gloop, Mike Teavee, Violet Beauregarde, and sweet little Charlie Bucket? Those who have watched the movies, read the books, or even seen a play such as this can all agree that the children’s characters are all a little…extreme. Perhaps the reason they are portrayed in an extreme way is because it’s supposed to represent something. Perhaps these children represent us, because we are all children at heart, right? This story is loved for its kookie characters and wacky, creative world. But with that comes a deeper theme that I think children as well as adults can take away. 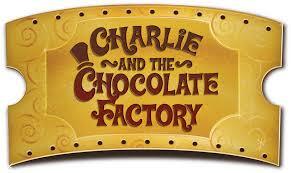 So sit back, relax, and enjoy Charlie and the Chocolate Factory and all the joys and lessons it has to offer! Tickets: $7 for adults and $5 for students. Children five and under are free. Tickets can be reserved by calling the office at 717-533-4900. Tickets can also be purchased at the door.